eloah is the musical project of Elmar C. Fuchs. It started 1993. Until now, several audio CDs have been recorded, comprising the input of many other musicians to whom I send heartily thanks for their contributions. Who is brother horn? Very seldom, you find people with whom you can communicate without talking - with whom you feel spiritually compatible. Jörg Horner (brother horn) was such friend for me - a soul brother. We could make music for hours and hours, inspiring each other, not thinking of what we were doing, just letting the music flow out, thereby creating itself. The CDs "Mondstein" and "mondstein 2 - ample jazz" are examples of that - this is heart blood music for me, it reaches deeply into my soul. The music on this album was composed in the early 90s, a time, when we had a lot of fun together; a time, when I learned from him how to let myself fall into music. Although this music is somewhat different from what we created together, he was still my musical mentor at that time, listening carefully to each composition I proudly presented to him, planting the seeds of my musical evolution. Jörg Horner is dead. My love for him lives. In order to honor his memory, I dedicate this album to him, to his widow and his daughter. In my heart, he will live forever. This is a CD full of power, fun, love and passion, dynamic impressions of the different shapes of life, sorrow and fun. It is about love, MSX computers, despair and the ways to deal with these emotions (or computers, respectively). It is about embracing the time we have on this planet - enjoying it, sucking out the marrow of life - seizing the day. This CD - especially the song "Silicon Rhyhtm" - is dedicated to my late friend Jörg Horner. May he rest in peace. In my heart he will always live on. Apart from the conventional eloah-art music, the Sternenfrau trilogy is something very differnt - and very special: This is the story of a loving soul translated into poetry and piano play. The ups and downs, the hopes and fears of a heart that truly loves are expressed in a very intimate, very romantic way. The piano miniatures build the bridges between the poems, each of which represents the imprint of one of the many faces of true love. Neben der konventionellen eloah-art Musik stellt die Sternenfrau - Trilogie etwas sehr anderes, sehr Spezielles dar: Dies ist die Geschichte einer liebenden Seele, übersetzt in Lyrik und Klavierspiel. Die Hochs und Tiefs, die Hoffnungen und Ängste eines wahrlich liebenden Herzens werden auf eine sehr intime, romantische Art und Weise dargestellt. Die Klavierminiaturen bilden hierbei Brücken zwischen den Gedichten, von denen jedes einzelne ein Abbild von einem der vielen Gesichter der wahren Liebe darstellt. 2006: A Matter Of Time. This is a CD full of love and passion, ballades of the different shapes of the heart in all its colours. It is about true love and the ways to deal with that emotion. The CD - especially the song "You Are A Diamond" - is dedicated to my Queen of the Stars, my beloved Astrid, who keeps inspiring me. The last two tracks, however, are dedicated to my late friend Jörg Horner. May he rest in peace. In my heart he will always live on. The CD "ample jazz - mondstein 2" was created from many hours of jam-sessions of elmar c. fuchs, jörg horner and markus sworzik. the unique voice of horner, not as classical as heard in the lo-fi suite "mondstein", but more detailed, fine, combined with the jazzy drumplay of sworzik give the almost classical pianoplay of fuchs a new style. From pop to jazz, even a little bit of rock (thanks to peter jaklitsch on "adejö"), the emotional spectrum of this almost eerie work ranges from funny and bright (diamond, haheia) to dark and weird (the night when the bear was murdered) whereas it also reveals total musical freedom (velvet sunrise). The CD "mondstein" was created from many hours of jam-sessions of Elmar C. Fuchs and Jörg Horner. The unique voice of Horner, very classical and innocent, but very detailed, fine, combined with the raw pianoplay of Fuchs a completely new style. From soul to classic, even a little bit of spiritual atmosphere, the emotional spectrum of this almost eerie work ranges from funny and bright to dark and weird whereas it also reveals total musical freedom. The LO-FI recording of voice and piano (not of the ochestra) makes this CD to a unique masterpiece for the bon vivant. Just blood... heart blood. This CD contains chanson music with rock, new age, pop and little jazz elements, but one thing is clear: every track is filled with heart, with emotion. The outcome sounds like acoustic rock music filled with love for details. The CD "just blood" combines the rock elements of the guitarist p. jaklitsch (peter jackson) with the dark, severe chanson-music of e.c. fuchs, not to forget the jazz-like drumplay of d. goesseringer, which rounds the CD to a true specialty. Are you ready to take a musical journey that will have you captivated and mesmerized from the very beginning? Are you ready to open your mind to something new that will broaden your horizon on music? If you answered yes to these questions, then I present to you an artist community with many members collectively known as eloah. With a fusion of many different genres including New Age, Ambient, and Rock, their sound is successfully unique. One of the members behind eloah, Elmar, recently spoke to me in this in-depth and enlightened interview with our Webzine. Enjoy! Isaac: How do you sum up 2008 for eloah? Elmar of eloah: 2008 was an excellent year for eloah. After more about 3 years in the studio, I managed to complete our latest project: The recording of the (official) "first" album "Ode To Brother Horn" which was originally recorded in 1995 on a CD-R (which was brand new for us at that time). However, since the few copies of that era were sold quickly - and the live repertoire always contained two highlights of this CD, paradise lost and iron lady, the decision to present these songs (and all the others on this album) in decent quality also on a disc finally lead to a product we are proud of: "Ode to Brother Horn". There is also a very sad reason which encouraged me to make this CD extraordinary: My best friend Jörg Horner ("brother horn") unexpectedly died in 2004 - so I dedicate this album to his memory - and especially to his widow and his daughter. Isaac: Expound a little about growing up in Leeuwarden, Netherlands. Elmar of eloah: Well, actually I grew up in Klagenfurt, Austria, a small city with about 85,000 inhabitants (at that time) until the age of 14, when my parents moved to a neighboring village with only 3,000 inhabitants. I never really felt well there - it was too quiet, and I continued to see my friends back in Klagenfurt until the age of 19. Then I moved to Graz, another Austrian city with about 250,000 inhabitants, were I completed my studies - and lived until last September. It was in Graz were eloah was founded, where I met most of my fellow musicians and where we played most of our concerts. Actually, the CD "Ode To Brother Horn" is the last product of that era. Isaac: Describe the music scene in Leeuwarden, Netherlands. Elmar of eloah: Well, since I live there since last September, it is a little bit difficult to do. But there is one thing I found out: Although Leewarden is not really big (about 100,000 inhabitants); there are lots of small live rock/metal/alternative concerts - something I really enjoy. Unfortunately, since no fellow musician moved with me to the Netherlands, we had no possibility to play live here. Isaac: What do you feel was your biggest accomplishment for 2008? Elmar of eloah: That is, as I described in the sum-up for 2008, the production of the "Ode To Brother Horn" CD. Isaac: Elaborate a little about whom were your biggest influences in the music industry and why? Elmar of eloah: Here I can only speak for myself, not for my fellow musicians. This is important, because although I am responsible for composition and arrangement of the music, my colleagues are more or less completely free concerning their contribution - thus one might easily hear influences in eloah music which stem from one of my fellow musicians. For me, the influences seem quite dispersed: On one hand, I really love the Dutch singer Herman Van Veen, or the German singer Reinhard Mey. However, I am also a big fan of classic metal like Iron Maiden, Savatage, Manowar, Virgin Steele, Testament or - of course - old Metallica. Then, my favorite classical composer is Dimitri Shostakovich - the first Cello Concert, the 8th Symphony or the 8th String Quartet are my favorites. I have sometimes heard that eloah sounds a little like King Crimson. However, although I have been curious how this band sounds like, I do not consciously know any song of them. Perhaps I should buy an album one day. Isaac: Let's talk about what you feel you will bring to the music industry? Elmar of eloah: Details. And heart. Some of our fans say that they like eloah because it is heart blood music. When listening to new acts, I sometimes miss the heart of the music - or its balls, how my old friend and guitarist Peter Jaklitsch would put it. Isaac: If you had an opportunity to work with one artist or group, who would it be and why? Elmar of eloah: I would like to work with Herman van Veen - I admire his singing and violin playing skills, I adore his humor - and I think it would be fun. Isaac: How would you describe your music to others? Elmar of eloah: Singer/Songwriter music with rock, new age, metal and rare jazz elements. Isaac: What is your definition for New Age/Ambient Music? Elmar of eloah: Listening to broad synthesizer waves with birds or whales singing, music to relax, meditate - or to simply fall asleep. Isaac: What type of feedback have you received from your previous releases? 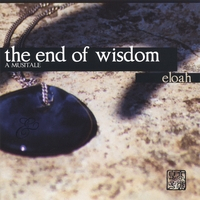 Elmar of eloah: We received some nice reviews from the local street paper "Megaphon" in Graz for "the end of wisdom - a musitale" as well as for "Mondstein" and "mondstein 2 - ample jazz". The Dutch reporter Holly Moors wrote an equally nice review about "silicon rhythm" in her on- line magazine. Isaac: What has been the inspiration behind your CD Ode To Brother Horn released in 2008? Elmar of eloah: Oh, I summed that up as well in the first answer. Originally, I recorded this CD for "brother horn" (Jörg Horner) who was my musical mentor when I was a teenager - and my best friend. His sudden death in 2004, just after the idea of a new recording of this CD was born, turned it into something more serious for me then - a testimony for a great friend, who will live forever - in my heart. Isaac: What can fans expect from your latest CD, you are working on currently? What is the inspiration behind the CD? Elmar of eloah: In my never ending endeavor to expand the eloah diversity of style whilst sticking to its leitmotif, I am currently working on a project together with a electronic/DJ artist - next to a acoustic project with guitar, contrabass and voice only. In both cases, and mainly in the last one, fans will find typical eloah topics and melodies. Isaac: Where can fans locate you at online? Elmar of eloah: Fans can locate eloah at the official homepage, http://www.eloah.at, or at the eloah MySpace site, http://www.myspace.com/eloahmusic. A nice overview over all CDs is give at the eloah CD baby site, http://www.cdbaby.com/all/eloah - and on many more pages, most of which the official site links to. Isaac: What can fans expect from eloah in 2009? Elmar of eloah: In 2009, we have a few major projects: One is the production of two video clips (for "paradise lost" and "iron lady"), the shooting for which is already progressing; and secondly, the start of the guitar / contrabass project. And, of course, if the distance to my friends in Graz can somehow be overcome, some live shows. Elmar of eloah: First, I would like to thank my fiancée Astrid for her kind support - and patience - during all the recording sessions in the past years. Then, of course, all my friends an supporters, most of all Michael Lukas, who has been enthusiastically and wonderfully contributing to the almost all CD projects - and Peter, Karin, Vladimir, Hoimar, Speedy, Roman, Maex... without you and your wonderful musical abilities, eloah would not have been possible. I send love to my parents, my sister and the rest of my family, and to my friends at Shindokan Dojo for their continuous support. And, last but not least, a big hug to all our fans. Elmar of eloah: It has become a fashion today for musicians to point out that you do not make music for money, but for - well, here the big bands differ - the fans, the art, whatever. It is easy to say that when you are a well known artist and sell hundredths of thousands of CDs. After a history of 13 years where eloah certainly spent more in our great passion than we might ever earn with it, I think it is safe to say that money never was or will be our driving force. We are in the happy position of living good lives with good jobs we like. But we won't make music just to fulfill the wishes of anybody either. We like to express ourselves through music. The way we conceive our feelings and dreams. You are welcome to join. “Ode to Brother Horn” is a great new age/progressive album from Austrian musician Eloah fueled by poetic lyrics and excellent guitar and piano work. This is an inspired album, a grouping of songs from the early ‘90s that Eloah presented to his then-mentor Jörg Horner (Brother Horn) whose memory this album is dedicated to. Eloah’s arrangements are truly exceptional, ranging from new age tracks with flute and saxophone to beautiful piano ballads to outstanding acoustic and electric rock compositions to riff-driven hard rock. Eloah’s vocal performance has variety to it, but it is ever-haunting, whether he sings in his natural deep bass or in a quiet near-whisper. “Ode to Brother Horn” is well-produced, and the entire album sounds clean and professional. “Paradise Lost” features some great acoustic work, a nice drum beat, and a chilling vocal performance. “You Have Never Been Mine” has a great arrangement that begins with a nice acoustic guitar and drum progression, and is then matched by electric guitar and piano. “The Human Legacy” has a more progressive hard rock sound with heavy guitar riffs, a nice beat, and haunting vocals. Eloah has put together an album that would make Brother Horn proud, filled with skillful arrangements and poetic lyrics. Fans of new age and progressive rock should definitely pick this one up. Veel muziek kun je altijd wel draaien, maar er zijn uitzonderingen. Voor iemand als Dylan moet ik echt in de stemming zijn, en andere muziek kan ik alleen draaien als ik een uitstekend humeur heb en het niet te druk is. De muziek van de Oostenrijkse Eloah is zulke muziek. Zit ik niet goed in mijn vel, dan kan ik hier ontzettend sjagrijnig van worden. Maar voel ik me prima, dan kan ik genieten van alle kwaliteiten die deze muziek heeft. Het is ietwat onclassificeerbare muziek die je op Silicon Rhythm hoort. Soms is het pure hardrock inclusief vervormde rauwe stem, soms is het jazzrock, en op andere momenten hoor je vrolijke pop. Nou ja, vrolijk. Zelfs bij het vrolijkste deuntje weet Eloah de muziek enigszins onheilspellend te laten klinken. Er is steeds een verontrustende ondertoon. Wat dat betreft weet het hoesje de sfeer die de muziek uitstraalt wel goed te benaderen. Maar Eloah schrijft goede liedjes (hij zingt overigens het allergrootste deel in het Engels), en arrangeert zijn muziek fraai, waardoor je ook na een aantal draaibeurten nog nieuwe details hoort. Verontrustend en goed dus. Niet voor elk moment en niet voor iedereen, maar het blijft een intrigerend avantgardistisch album.